There have been some exciting advancements in the world of mobile billing and rewards, none more so than the Karrot mobile App. We’re big fans at Phone Bill Casino because you can make a Karrot App mobile casino deposit using Boku, with no extra fee included. Yes you read that right, thanks to the unique Karrot app, you can actually make casino deposits without spending your own money. By combining Karrot with Boku, you can play at some of the biggest casinos on the internet; such as Glimmer Casino. What is the Karrot App? 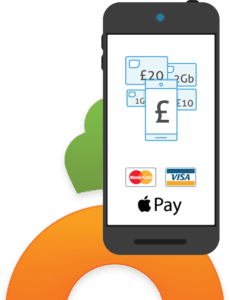 Karrot is an ingenious little app that rewards you whenever you spend on the high street, but unlike other schemes you can receive your rewards via your mobile phone provider. You can claim various benefits including data bundles and even cold hard cash. The Karrot app can be used at a number of retailers such as TGI Fridays, Café Nero and The Trainline. Whenever you spend at participating retailers you will accrue points, those points can then be redeemed with most major phone companies; simple right! Whether you have a pay as you go sim or a monthly contract, you can utilise the Karrot app. How to Make a Karrot App mobile casino deposit! Making a Karrot App mobile casino deposit is essentially a three stage process, but also really simple. Once you have downloaded the Karrot app and registered, simply spend at authorised retailers and watch your points build up. When you have accrued enough points you can claim a reward, your reward can be collected as data but that won’t work for this process (i.e. extra casino credit). We recommend you choose to redeem your points as mobile credit, this is a set cash amount either added to your PAYG balance or deducted from your next phone bill. Once you have claimed your credit you are able to spend it as you wish. By utilising Boku you can enjoy the extra cash at any pay by mobile casino. To make your deposit simply sign in and select Boku or pay by mobile, then add the amount you claimed using Karrot. So there you go! You have now made a Karrot App mobile casino deposit. To check if your phone provider is eligible for the app simply visit Karrot. To see which casino sites you can spend your credit, check out these phone bill deposit sites.